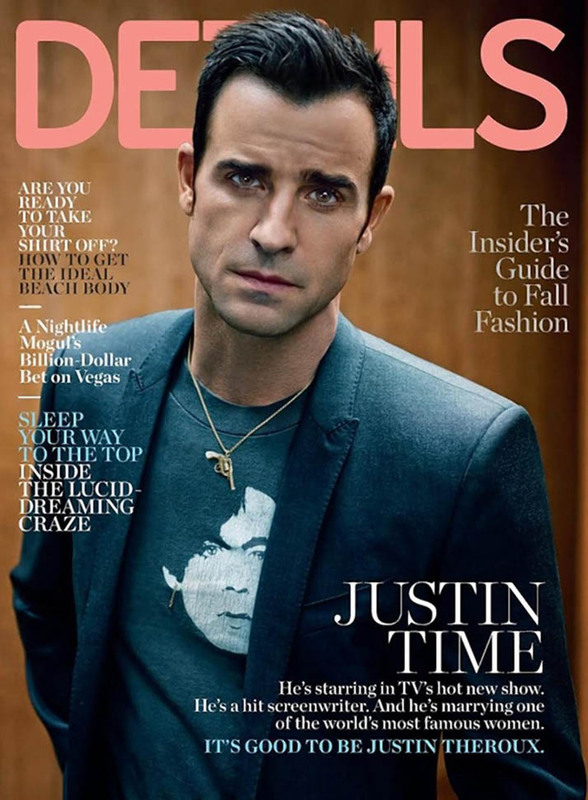 Justin Theroux covers the new issue of DETAILS to promote The Leftovers. Have you been watching? It’s a slow burn for me so it’s not like I’m rushing to make it through the screeners but at the same time, I’m not putting it at the bottom of the pile either. The article is a good read. I appreciate that the writer addresses the “dissonance”: Theroux’s “New Yorker” perspective and his Beverly Hills personality. Because you can’t spend several paragraphs talking about his fringe artistry and not wonder how that might work while being engaged to the MiniVan Majority’s favourite actress. 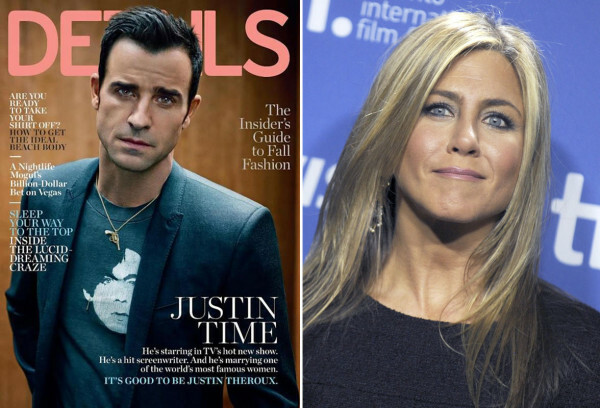 "It doesn't feel like a hardship, it doesn't feel difficult," Theroux says, while allowing that he's seen photographers topple children in their frenzy to get a shot of him and Aniston. "It can be an annoyance, but it's not the end of the world. You have to center on what its core thing is, which is that you met someone you fell in love with. It's hard to explain. I just find myself wondering, What's the big f-cking deal?" Krasinski goes on to say that while JT’s reality with Jennifer Aniston means compromising some of the anonymity he enjoyed in the past, at the end of the day, he “gets a great girl”. There it is. That’s the Clooney message: it’s not going to be perfect, for anyone. But since it’s closer to perfect for them than it is for a lot of people, you can’t ever complain. Can we talk about his face now? Look at the shape of it on the cover here. Jaw and all. 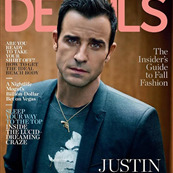 With the light eyes and everything, he and Aniston look very similar, non?